Yoga over 45: Our mission! So you come to yoga class - that’s great! But I have a question to ask you! Do you do any practice at home? If you’re brand new to yoga, and still finding your feet (sometimes literally! ), it can feel daunting to try some of the movements on your own. You might worry you’re not doing it “right,” get confused about how you “should” be breathing, or want to put together something specific to help you with a health issue you have - but you’re not sure which poses would be best for you. I’m a huge believer in developing a home practice. This month’s blog is all about helping you to think about how you can make that happen, and the benefits if you did! What will a home practice do for you? There’s probably all sorts of reasons why we may not practice at home but finding the motivation and telling ourselves we don’t have enough time, or don’t feel confident enough are usually pretty high up on the list of excuses we give ourselves! 2 darned good reasons to give home practice a go….. When you’re in a class, no matter how much the teacher allows you to experience what’s going on for you, you’re following someone else’s routine, and the opportunity to think about how your body feels at that specific moment, and choose a routine which helps you self soothe or self-regulate is not as strong. When you practice at home - you notice how the body feels - and you choose the poses you feel will help you at that specific time. It’s almost self-indulgent! If you fancy doing down dog - you do down dog! If you’re feeling stressed and just want to do legs up the wall - then that’s what you do! This is self-care at its best. When you practice regularly, even if it’s just for a few minutes at a time, there is a cumulative effect on your progress. Think of it a bit like a rocket - it takes a lot of energy and effort to get off the ground - but once it’s up there, it becomes almost effortless. I promise you, you don’t have to do an hour, or even half an hour - but 15 minutes a day, or even 4 days a week, could make a significant difference to your health, your overall sense of well-being and your ability to withstand the pressure of modern life. It’ll keep you looking and feeling younger too! Massive bonus as far as I’m concerned! Every class I run begins with at least a few moments to just bring your attention inward; to still your mind, and to notice how your body feels. This doesn’t just ground you, and help you draw your attention away from the “busy-ness” of your life, but helps you become more aware of how your body is feeling - right then and there. Armed with that knowledge, you can choose where you go from there. So now you’ve “tuned in” to how you feel, you can decide perhaps if you feel the need to really move and do a more vigorous practice, or maybe you’re tired, or pressed for time and just need a short, restorative practice. If you need grounding and stability, focus on standing poses. Maybe there’s a specific part of the body which needs easing out? It’s your choice. There are so many yoga poses there is no way you can do them all in a practice! In my own practice I have some poses I love which are staples for me - doing them 3 or 4 times a week. Some routines/flows I choose because I know they make me feel good - and some poses I’m working on because I’d just like to master them and increase my flexibility! However, if you start with what you love rather than the most challenging poses, it’ll help reinforce what a lovely habit you’re developing - so you’re less likely to give up! Try taking mental notes in class. Maybe there are some routines or poses you do and you think, oh that was great! I really enjoyed that. Make a note of what you did - and have a go at practising these at home! In my own classes some of my longer standing students must be sick of hearing me say what I'm about to say next! But a well- balanced routine will allow your body to move in each of the seven directions - up; sideways, forwards and back and twisting. See if you can incorporate this into your home routine. This is SO important! Try to create a small, uncluttered space where you can practice. Placing a few candles, or pretty objects nearby and maybe using music which makes you feel good will also help make this a pleasurable experience you’ll want to repeat. Taking even a little bit of time to practice grounds and inspires you, so that, when you return to your “to-do” list you are more focused and productive. I’ve come to realise when I practice, even for just a few minutes at the start of my day - somehow, the rest of my day seems just a little bit better - whatever life throws at me! I hope you do too. Your mat awaits! How seriously do you take your yoga? I had reason to reflect on my own approach this week as I sat down to write my monthly newsletter for my students. Truthfully - I struggled this month! Yogini writer's block I guess they'd call it! Sometimes it just flows: I see, hear or read something and I get an idea, and that's me - off the starting block! Other times I stare at the blank space on the computer and wait for inspiration........sometimes a long, frustrating wait! And then I catch myself and realise…. The more I pressure myself, the harder the task becomes; the less I enjoy the process and the greater the risk I’ll end up writing something which really isn’t me: which doesn’t come from my heart. And that's when I found myself laughing at myself! I took a break - and googled "funny yoga quotes." I had an inspiration for the newsletter! Yoga is NOT all about having to be serious! Humour is an amazing thing: it can not only help us laugh at our human frailties; our vulnerabilities and our challenges - it can teach us to be a little gentler on ourselves and remind us we are only human! I read an article the other day which said many of us simply transfer our existing tightly wound up habits into the yoga class or our time on the mat so we have little chance of relaxing at all! How many of these do you recognize in yourself? Frantically checking your phone or sending a message just before class starts. Feeling piqued because a newbie just took the space you usually have in class! Feeling a failure because you don’t practice enough (or at all!) at home. Making your shopping list in Savasana! 3 or more? Guilty as charged?! Sheesh! How wound up can you get?! progress in anything meaningful is a bumpy road! The fact you’re reading this means you’re at least ON that road! Give yourself a high five for showing up, don't take it too seriously, and enjoy the journey!! Is getting older about taking more pills? Are you taking any medication? Do you associate getting older with expecting to slow down, become more tired, experience more health problems and taking more medication? When you visit the doctor do you always expect to walk out with a drug prescription? I was struggling to cope even with walking my old lab; and as anyone who has suffered from chronic pain for any length of time will tell you, you are left feeling drained and low. In such situations, taking medication, even if you hate taking anything, is a sensible and helpful thing to do. When our bodies are in pain, stopping us from normal movement, we need something to allow us to continue to live our lives. Resting for too long is - as all doctors now agree, a recipe for seizing up further and making the problem ten times worse. But when we continue to take the painkillers longer term; that can become a problem. Almost all doctors now agree that pain killers only work for a short while - then as time goes on, their effectiveness wears off - and we require more and more, to have the same effect - all the while, risking and experiencing sometimes debilitating side -effects; even having to take other drugs to mitigate those side-effects....till we are rattling from the number of pills we need to take. Last month Dr Chris Van Tullekan led a documentary called "The Doctor who Gave up Drugs." You may have seen it. If you haven't - the links are below - I highly recommend watching this fascinating programme. One thing the programme highlighted was that the amount of drugs we use goes up in middle age. By the time you reach 50 you might be taking 1000 pills a year and by over 60 you're likely to be on 2 pills a day for blood pressure - not to mention medication for other common ailments such as high cholesterol; depression; diabetes; arthritis and back or other joint problems. Now, at NO point, did this documentary deny that drugs have their place in helping to support our well-being; in some cases they are an absolute necessity and they save countless lives. But ALL drugs can do harm - with side-effects in some cases which can prove as challenging and unpleasant as the problem we want treating. Overworked doctors, with only 10 minutes per patient, describe it as feeling as though they have nothing else to offer us, other than to write a prescription and hope it works. And we feel short-changed if we walk out of the surgery without a prescription! is simply to pop a pill. "Regular exercise can prevent dementia; type 2 diabetes; some cancers; depression; heart disease and other common, serious conditions - REDUCING THE RISK BY AT LEAST 30%. THIS IS BETTER THAN MANY DRUGS." In the BBC programme, individuals with diabetes, chronic pain, high blood pressure; depression or at risk of stroke were enrolled in some form of exercise programme, including Kung Fu; walking for 30 minutes 5 times a week and cold water swimming. whilst initially their motiv ation was weak, eventually, with the support of a group, they began to keep up their regime - and the results were dramatic. In many cases, the exercise reduced the need for medication and measrues such as blood pressure, blood sugar levels and weight significantly improved. In addition - the transformmation in terms of how they felt generally was nothing short of remarkable. Their mood test scores improved. They slept better at night. They enjoyed life more. Dr. Van Tullekan said: "They felt like they were in charge of their own health and their own bodies. you can't put THAT in a pill." "How could I take back some control?" Want to see the programmes? My own problem with the pain in my feet? My phsyiotherapist said to take the pain killers whilst the pain was severe, and see it as a course of treatment - much like taking a course of antibiotics - but meanwhile, to use physiotherapy and whatever I did, NOT to stop my yoga! My feet are slowly coming back to being pain free and I have now come off the pain killers. They have helped as a temporary measure - I will let physio and yoga do the rest. Which asana is your biggest challenge? Maybe it's a Warrior sequence? Maybe it's lunges? Maybe your hips groan when you try pigeon? Maybe you struggle with plank or balances? As a teacher it is, of course, important to work on the more physical asanas; I like to try and walk the talk! And it's a good feeling as you find your body becomes more toned, flexible and you finally master a pose you found impossible initially. But do you find yourself getting slightly fidgety when you lie still in Savasana or Legs up the Wall? When you move into Child's Pose do you see it as simply a transition pose and you're itching to move on to the next asana? When you try to sit quietly and focus on your breath do you find your brain screaming, "Why are you wasting time? Don't you realise how much you've still got to do today?" What our bodies and minds actually need is space. Time to allow muscles which are clenched with tension to soften. Time to allow minds which are racing at a hundred miles an hour (yet still not achieving as much as we think we should!) to just press the "pause" button, and slow down. Time to breathe - to just simply "be." Have you ever found yourself feeling you just need time to think? Maybe what you need most is time to just STOP thinking! To just "switch off" from the craziness and just "be." And that's what Savasana (or some of the other restorative poses) have the power to do. And don't be mistaken for thinking a good night's sleep will do you as much good. Sleep won't help you "let go", and often sleep patterns when we're facing challenges are anything BUT restful. Savasana is a conscious releasing and letting go. We remain in a state of gentle awareness: of our thoughts and of our physical state, whilst calmly and consciously allowing those thoughts and muscles to "let go". The truth is, Savasana or any poses which require stillness take practice: consistent practice. But the rewards can be immense. Birthdays: how yoga (not botox!!) helps you survive them! OMG!!! I'm 64 ne xt week! Don't know how you feel about birthdays - particularly the "big" ones marking the end of a decade. Some people get nervy reaching 30 never mind 40 or more. And I was somewhat disturbed the last time I visited my hairdresser to find she and another girl working there were having botox done - one of them not even 30 yet - and quite frankly - stunning looking without any "help!" I'm not about to have Botox any time soon that's for sure, but I have to admit that hitting 60 bothered me. Where had the time gone? When I was in my 20's, 60 was ancient! And it wasn't the 60 so much that bothered me either! Know what it was? It was the countdown to 70 - which scares the hell out of me! I find each birthday since 60 my inner gremlin is saying - "Only 10 years to 70! Only 9 years to 70! only 8 years to 70! And now, next week, I'm only 6 years to 70! My 70 plus yoga students will tell me it's not so bad. They look fab; and their quiet determination to do what they can to stay as fit as they can for as long as they can is inspiring, even if they are already feeling the effects of age through inflexibility or other conditions. They come to yoga because they want to increase their sense of well-being - and hold back the years - just like my hairdressers do - but through something far more powerful than botox. And that's why I'm grateful to yoga. I have long-standing friends, some of them younger than me, who are struggling with their health. I feel blessed. I'm more supple than my kids. My core strength is pretty damn good for someone my age, though I say it myself - and I'm working on strengthening it even more. My energy levels are good, and my enthusiasm for life's challenges and experiences remain strong. I have some twinges of arthritis in my right hand (probably RSI from typing too many blogs and training courses!!). And yes - there are some saggy bits around the neck (and other places I'd rather not divulge!!) and some wrinkles I sometimes feel bad about - but on the whole, I'm not doing too badly. I say this not to brag. Because I don't think it's anything to do with genes. I believe it's EVERYTHING to do with yoga. And for those of you thinking to yourself - "oh well it's OK for her - but she teaches it/has more discipline/more time/" etc - actually, while I did teach for 5 years in my twenties - between 30 and 60 I didn't teach because life was just far too hectic with children, career and all that. And even my personal practice - whilst I never gave up entirely - was often spasmodic. But I did keep returning to it - and I did build a routine which - whilst it was only 15-20 minutes long, I managed to do regularly. Truth is, in the end, it was no longer discipline - I began to notice how when I didn't do it I didn't feel so good - so I wanted to do it - and then that became as much a habit as cleaning my teeth before bedtime. I know I can't do anything about my birthday next week! Whether I celebrate it or not (and I AM going to celebrate! ), it will happen anyhow. I WILL be 6 years from 70 in exactly one week - whether I like it or not! But what I CAN do something about is HOW I get to 70! Yoga challenges me to stretch myself a little more every day. Yoga is helping me increase my strength and flexibility - in every way. This is not about doing foolish things; about over exerting yourself or competing with others or trying to show off advanced poses - but it IS about gently encouraging our bodies to continue to move with grace and ease and comfort; so we can still squeeze out every drop of fun and adventure or even handle life's challenges better. Yoga encourages me to care for my body - and eat healthily. In the last few weeks I've started moving from being vegetarian to vegan. Psychology research suggests that if we build discipline into our lives in one area, it spills over into other areas. For years now I've never dieted - despite having yo-yoing weight and slight bulimic tendencies in my teens and early twenties. I found myself wanting to eat more healthily - taking more interest in how to eat a balanced and interesting diet. I stopped weighing myself - and focused on looking for foods which would keep my energy high, and leave me feeling good rather than bloated or sluggish. I've been vegetarian for 14 years now - and following my time in India for my advanced teacher training, have decided to move gradually to vegan. Yoga keeps me calm - and sane - and grateful! Life can be challenging - and no matter what your age, those challenges can sometimes knock you sideways. It's no different for me. Over the last year I've seen my Mum degenerate severely as dementia takes over. As I write this it's unlikely she will see out the end of the month. I can't tell you how many times I've left her and fallen apart. There are times when it all feels too much. And I know many of my students face, or have faced similar daunting challenges. We need a reserve - a bank of inner strength and resilience, which will help us through those periods with a little more grace and ease. Yoga always helps in those challenging times - even when you don't realise it! Sometimes you look back and you don't realise yoga is actually helping you cope, until you realise how you've managed to stay a little calmer than usual in a crisis; or when you've had a setback, you've bounced back a little more quickly than you used to; or when you find yourself appreciating little things somehow a lot more than normal. Yoga's mental and emotional effects are often subtle - but quite profound. As you build resilience in your body, you build resilience in your mind - with massive personal benefits. Quite an impressive list eh?! Can botox do that?!! I think not!! I may be 6 years off 70 next week - but I think I'll continue to pass on the botox and stick with the yoga! Well - most people won't think yoga could do much to help t hem lose weight - unless, of course, you're into the more vigorous styles such as Ashtanga or hot yoga; and even then, the assumption would be you'd probably have more success jogging or training in the gym if you really want to buff up and trim down. It is true that a 150 pound individual will burn roughly 150 calories an hour doing yoga compared to 311 calories for an hour of walking at 3mph. However, there can be some surpising benefits in the body shape department if you give yoga a go! Stimulate important internal organs such as the liver, thyroid and digestive tract. When these organs perform more effectively, our metabolism can increase; our bodies can burn fat at a faster pace; our food can be digested more effectively, and our liver can eliminate toxins and "bad" fats more effectively - all things which can have a positive effect on our body shape and size. Stress and anxiety can be a cause of weight gain - especially if you comfort eat! Relaxing yoga postures, and breathing techniques can help reduce the sense of stress, allowing you to feel more in control. More control equals less chance of hitting that chocolate bar! Tone and re-shape your limbs. But I've kept my waist; firmed and toned my legs and arms and managed to keep a pretty good flat tummy - despite two children. And I know yoga has played a big part in that. how yoga puts us back in touch with our bodies. Done mindfully, yoga forges a strong mind-body connection, which can help you become more aware of how you eat, what you eat, and when you are full. More importantly, yoga can make you more susceptible to influence for change - so if you are thinking you want to change your lifestyle; or you want to change the way you think about food; or you want to get over destructive eating patterns you might have developed; yoga will give you the connection to your body which will help you want to make those changes. In my experience, yoga helped me develop a far greater respect for, and awareness of, this amazing "machine" which supports our very essence; our personality. When you make that shift mentally, the desire to ensure you do what you can to support your body almost flows naturally. Somehow it ceases to be a "fight" to "lose" weight: (psychological, language almost setting us up to fail/rebel - who wants to "lose"?? or "fight"??) and instead becomes a "desire" to "live long and be healthy!" When that happens - you've made a real shift. When that happens, it's not a "battle anymore" - it's just who you are. When that happens - you will see your body shape change for the better! As a yogi how important is your diet? Those of you who have known me a while know my yoga training in India last February included all of us following a sattvic diet; which is basically vegan without onions, garlic, mushrooms and red chillies. It also espoused dr y fasting (no liquid or food) for 24 hours twice a month, which, in over 30 degree heat I chose to refuse to follow. In truth, I wasn’t too sure about the “science” explanations we were being given about why we should avoid these foods. My instinct to question so called “facts” means I can be seen as somewhat sceptical! I prefer to check things out first. However, I couldn’t refute the fact I did feel better, lost weight, and felt more “vital”, even though I was already a reasonably healthy vegetarian prior to the training. What was even more interesting for me was what happened when I went back to eating exactly as I used to. I've been feeling a little more sluggish, sometimes a little bloated, and whilst I don't feel I've regained any of the weight I'd lost, I feel heavier somehow!! Which led me to taking some time out to review, do further research and consider how I might make some changes to my eating habits and see what happens! It's not that easy! Having spent time researching, and reading, I'm finding the debates about which diet will help us stay fitter for longer continue to be a contradictory, often confusing sets of claims, all too often with a hidden agenda of trying to sell us a particular pill, food or diet! There are some interesting social studies, observing communities across the world where they seem to live longer and healthier lives - but in truth, there will almost certainly be other factors contributing to their wonderful longevity too - so its difficult to extrapolate it to one thing. So - finding credible research, done with at least some clear objectivity and scientific rigour is not easy! However, I did find one piece of research (done by Katz and Mellor from Yale University) I particularly liked. It's recent for one thing - done in 2014; it is clearly non-biased; and it reviews dozens of other trials in order to come to its conclusions. Improvements in our diets have been repeatedly shown to be associated with significantly increased life span and (more importantly as far as I’m concerned) with a far better quality of life as we age. In their conclusion they say: The case for eating "true food" mostly plants, is all but incontrovertible. They also conclude: vegan diets, when well constructed, are associated with health benefits such as reduced inflammation; reduced cardiac risk; healthier body size and shape and insulin sensitivity. So - I'm trialling one day a week as a vegan only day! I'm reviewing my shopping and cooking habits to see if I could move a little nearer to the vegan/sattvic way of eating - and indeed to see if it actually makes me feel any better! Meanwhile, when was the last time you reviewed your eating habits? eliminating meat and dairy may not be for you; but what small changes might you make to achieve better health and vitality and support yourphysical yoga practice? Well....not fully! But every journey begins with a single step!! £49 for the full day, including refreshments and a healthy, delicious lunch. What can you expect on this retreat? These retreat days are a perfect opportunity to get away from the hustle and bustle of everyday life, albeit for a few hours, and spend a day stretching, sharing with like-minded people and learning a little more about the ancient discipline of yoga and why it can be such an effective tool for your well-being. Each day is a mix of practising postures, breathing and relaxation techniques and delving a little deeper into topics related to yoga philosophy or other aspects of improving your well-being. (We focus on the more physical postures in the morning whilst you're still fresh - and after lunch you will have an opportunity to learn a little, as well as have time for meditation and deep relaxation.) you'll also receive handouts reminding you of some of the things you learn on the day. Refreshments and a healthy and delicious lunch are also provided as part of your ticket. If you booked a 90 minute spa treatment you'd probably pay more than the cost of this whole day - and leave with far less! If you are a complete novice to yoga however, you might find some of the physical morning session a little more challenging - simply because you are not familiar with some of the basic techniques, poses or principles. If that is the case, you might be better either trying a few classes before you attend, or practising a little at home first! You'll have an opportunity to mix with other, like-minded individuals and deepen your own understanding and practise. Ask us anything! We'll do our best to answer your questions - and if we can't - we'll find out! You'll enjoy a nutritious, and delicious lunch! And all this is in the beautful, peaceful and relaxing setting of Bawtry Memorial Sports Hall. Places can be pre-reserved up to 3rd January 2019. However, after the3rd January all spaces will be on a first come, first served basis and full payment will become due. To reserve your space click the link below. Will we be doing physical exercise all day? I don't think I can cope! No! The morning sessions are a little more energetic, with routines which will stretch you whatever your level, but the afternoons are a calmer affair (oyu need to allow lunch to settle after all! ); with a focus on mindfulness/meditation, restorative yoga and deep relaxation in the form of Yoga Nidra. Do I have to be over 45?! No! But if you're looking for a day of power/Ashtanga yoga - then this is probably not for you! I have back pain and am worried a full day might be too much for me. I get asked so many times by students who have specific health issues if yoga will help, or hinder their healing. There ARE some techniques and postures which are contra-indicated for certain conditions, and we'll let you know if that's the case. However, as mentioned above, this is not a full day of vigorous movement. You will learn how you can adapt poses so you can do them safely; or where it's best you don't do a specific pose, you'll learn alternatives, or how to use that space to allow your body to relax. And if you do have specific concerns or health issues, mention to your GP what you are thinking of doing - and see what he/she says. In most cases, yoga (and pilates) is one of the few things doctors will recommend you do take up. The truth is - NOTHING is worse than not moving at all. You're guaranteed to seize up. Anyone who knows me knows I am passionate about staying healthy for as long as we are able. Yoga teaches us how to take care of our bodies, our minds and our spirits. I cannot think of anything more important, if we are to fully live our lives without being hindered by ill health. And if you have any further questions - please do just get in touch. This is our 8th workshop and we've had great feedback from the first 7. The pictures below give you some idea of the day. You can see some of the testimonials below or on the scrolling box to the right. Excellent workshop. I thought some areas would be above me - but this was not the case. No one was made to feel inferior or inadequate and the knowledge of the trainers was very good. This workshop exceeded my expectations. Really enjoyed the relaxed atmosphere of the workshop. Being a beginner I walked away with some knowledge of yoga and keen to learn more from future workshops! I really can't think of anything you can improve on. This workshop exceeded my expectations. Really enjoyed the variety of sessions; learning and practisingYoga Nidra and I learned lots of tips! Just a big thank you Shona and Carmen! This workshop exceeded my expectations! Shona and Carmen worked very well together and there was a relaxed and friendly atmosphere allowing for different levels of ability. Wasn't sure what to expect but the workshop was very well thought out and flowed really well. Amazed what we managed to cover in the time. Great range of props available and felt free to experiment with them. Really enjoyed being introduced to new parts of yoga and it was really nice to have 2 different teachers with different experiences and voices. Yoga Nidra was great! Nice to have time for things we don't have time for in class. Wish these were more regular - every month please! I felt so totally relaxed and at ease afterwards, especially as I have suffered from depression. A very informative, inspiring and varied workshop! Loved the Yoga Nidra and the joint freeing exercises! lunch looked amazing! A great day! Excellent! I will try and practise what I learned! Brilliant!! My first ever workshop - and not my last! Loved the relaxation and meditation! A new experience for me. Only thing that would have made this better is if it were two days instead of one! Just a BIG thank you for today! It took my yoga practice where it has not been before - the depth amazed me. The day was a perfect combination - more mantras and meditation please but not forgetting core strength activities. Loved the dancing warrior! Great modifications and challenges given. It was lovely to meet other, like-minded people and loved the yoga "buzz" at the end! Loved the cymbals! Loved the food - may even give vegetarianism a go! Can't wait for the next one! See you then! Made me feel accepted and comfortable within my limitations. Loved meeting others, the scented candles and your approach which was friendly, accepting and encouraging. Lunch was very good! Thank you both for a lovely day. The workshop was much more than I expected. Enjoyed the combination of exercise and relaxation. Really enjoyed the day. Very balanced - and as a novice, very enjoyable! I thought the routines were well explained and I particularly loved the meditation and Yoga Nidra. I enjoyed all of the day - but the Yoga Nidra was wonderful! Come over to Grimsby please!! Thank you for a great day! Really enjoyed everything about the day. A very good variety and excellent information from really knowledgeable instructors. Have any questions you want answering before you book? Please contact us on 01302 865253 or 07904 262877 or complete the CONTACT FORM with your questions. Therapeutic yoga - CAN it help us manage or prevent health challenges as we age? These are just a couple of the comments I’ve received from students over the last year of teaching yoga. I’ve been teaching now for over a year - and it’s wonderful to see students progress. Some of my students have been with me for that whole time - and some only for a few weeks - but it’s just so wonderful to not only see them improving in terms of what they can accomplish physically, but to have them feedback how they feel they’re benefiting from the practice. Whilst there’s still a lot of work to be done, there’s a growing body of research showing how yoga practice can bring positive health results across a range of areas - particularly in terms of helping us as we age . So what exactly IS therapeutic yoga? to the treatment of health conditions. One study in 2011, reviewed all the literature they could find relating to “hatha yoga,” “therapeutic effects of yoga,” “stress,” “anxiety, “depression,” “pain,” and “chronic disease,” in order to provide a comprehensive review of the benefits of regular yoga practice. How might yoga be helping these conditions? Yoga believes the body is a holistic entity, comprised of various, interrelated dimensions which cannot be separated from one another. If one dimension is unhealthy or out of balance, then it impacts on the other dimensions. Each individual is unique and therefore any treatment should be tailored to meet those individual needs. Yoga is self-empowering: the student is actively involved in their own healing journey - and the healing comes from within instead of from an outside source. Our quality and state of mind is crucial to the healing process. Positive mind states support the healing process, wheras an important role to play in supporting disease at any age. But the discipline of yoga offers a timeless and holistic model of health and healing. It is widely accepted there is an inescapable link between our physical and mental health. Yoga’s ability to gently work at both levels can help practitioners manage both the acute and chronic stress which so often accompanies illness and disease, leading to improved quality of life. There is still much to learn - but one thing’s for sure: regular yoga practice seems to come with the potential to help manage and prevent many of the age-related conditions so prevalent in many cultures today. You have nothing to lose - and a lot to gain, by spending some time on the mat! 5 tips to help you create your yoga habit. In the last post I talked about how achieving our New Year resolutions, or indeed, any goal we set ourselves, requires changing our behaviour in some way. We are creatures of habit! But what is a habit exactly? A habit is something we do automatically - without really thinking about it. We're on "autopilot" if you like. It's actually a very useful function of our brains, allowing us to talk and drive at the same time for example; or type on our lap tops without thinking about where we have to put our fingers. Some habits are helpful - like cleaning our teeth; some unhelpful, like smoking. But the one thing you've had to do in order for these things to become habits - is repeat something regularly enough, for it to become an established wiring in your brain - so that instead of having to consciously make an effort to take that action - your subconsious does it for you without you having to think much at all. Once your brain is "hard-wired" to do something automatically, it's harder to stop it! That's great if it's a helpful habit! Not so good if it's not! One theory is that some habits are more powerful than others. Researchers call these "keystone habits" which have the power to start a chain reaction, impacting on more than one area of our lives just by doing that one thing. Keystone habits have the power to influence how we work, eat, play, live, spend and communicate. They start a chain reaction which will eventually transform your whole life. And as with any habit - you may have set up positive/helpful keystone habits, or negative/unhelpful ones! Do you know what YOUR "keystone habits" are? What, if any, helpful keystone habits have you got? How do they impact on your life? I bet they influence it for the better in a number of ways. But what about your unhelpful keystone habits? What are they? Maybe you have a habit of slumping in front of the TV when you get in from work? Maybe you're always hitting the "snooze" button on the alarm? Maybe the first thing you do when you get up or start work is check your e-mails? Maybe you spend a lot of time on social media? Maybe you keep saying "Yes" to people, when you really should be saying "No!" And maybe you don't exercise consistently? Yoga is, I believe, a keystone habit. It can transform not only your physical health but your mental and emotional health, your stress levels and your resilience in the face of life's inevitable challenges. Set aside a place where you will always do your practise. Few of us have the luxury of a room which does not have another purpose, or is for our use alone. But creating a space which has your mat; maybe any yoga props, candles, calming pictures or beautiful plants - and some music you particularly love will really help put you in the mood when you walk into the space. Try to practise around the same time each session. It doesn't matter if it's not exactly the same time - but if you're a morning person, maybe it's always first thing in the morning. If you're better in the evening, then that's fine too. Again, all you're doing is getting yourself into a routine, which is important for embedding this new behaviour. Set yourself a realistic target not some idealised goal. Aiming to go from no practise at home to an hour a day is probably doomed from the beginning, because you're setting something which is so far away from where you are now. Choose something which is a stretch, but which is perfectly do-able. So maybe you start with a commitment for one class a week for a few weeks, and 15 minutes at home twice a week. Practise with intention and focus. After all, you're just giving 15 minutes of your time. Out of the 16 or so hours in your day when your brain has to whizz around thinking of all the "stuff" you have to do, that's not too much to ask, to allow yourself to switch off a little, and just be present and mindful of what you're doing as you do the asanas. I promise you, even if you feel you're struggling to switch off, by trying to focus on your breathing and the sensation as you move, you WILL relax a little - and the benefits WILL be felt off the mat! Do this for 4-8 weeks and I promise you will find yourself WANTING to hit the mat because it makes you feel so good! And when you do, you know your keystone habit will have formed. Just watch out! The side effects are many - and hugely positive!! Why doing a regular yoga practise might be the only resolution you need to make in 2016. Have you made any new year resolutions this year? Some research shows around 40% of us make New Year resolutions, but only 8% of is actually succeed in achieving them. Most of us have given up before the end of January - and only a tiny minority will actually make lasting changes which transform our lives for the better. If you've ever set yourself a New Year resolution and given up before the end of January you're not alone! Whatever the goals you set yourself one thing's for sure: it requires changing the way you do things so you get different results.It requires changing "unhelpful" habits; whether that's eating the wrong things; not exercising enough; procrastinating; watching too much TV.....the list goes on! Achieving new goals requires changing our habitual behaviour for something which will result in the outcome we want. It's ALL about habits. So, if you want to lose weight - you'll need some new eating and exercise habits. If you want to change your job, you'll need to get out of that rut and make some changes - to your skill set and your job hunting approach. If you want to get more productive stuff done, you might need to watch less television. And when it comes to habits, there's a school of thought amongst some psychologists that there are some habits which are more important than others! Habits which, whilst seemingly small and even insignificant, over time produce results far outweighing the effort you made to establish that habit. Charles Duhigg, in his book "The power of habit", encourages us to focus on changing habits which could make the biggest difference to your life; habits which literally spill over into other areas of your life, improving them too. These habits are what Duhigg calls "KEYSTONE HABITS". The idea is to focus on just one of these "keystone habits" for a period of 3 to 6 weeks (researchers differ about how long they think it takes to make a new behaviour a habit - but often the theory suggests consistently doing something for between 21 and 60 days will help you ingrain that behaviour until it becomes automatic - and THAT'S when the magic happens! Because then, it doesn't require discipline any more, it's just the way you are. simply by changing one habit! I've found this phenomenon has worked for me with yoga. There are few days when I don't practise - some days it's only a few minutes breathing; abdominal lifts and a couple of sun salutations taking 5 minutes - others it's well over an hour. On average it's around 30 to 40 minutes a day. Reduce anxiety or stress when life throws curved balls or becomes overwhelmingly challenging. Stick at things for longer. Feel more comfortable and confident to step out of my comfort zone and try new things. Be more patient when faced with frustration. Be more appreciative and grateful for everything I have - and for the simple things in life. There's probably more I can trace back to this simple habit - but that's not a bad list is it? All this for a few minutes yoga practice on a regular basis. So at the start of this new year, try making a commitment to practise yoga at least twice a week for 15 minutes and keep this up for 30 days - 60 if you're really serious about making a tangible difference to how you feel. You've nothing to lose - and masses to gain. Coming to a class once a week will help - but the real benefits will come when you incorporate yoga into a regular, personal routine. In the next blog post I'll give you some suggestions about how to make this an easier process for you. And for those of you who are members, if you can't remember the poses, they're all in the online library you have access to with your membership - so you've no excuse! I wish all of you, my students and my readers a happy and healthy and New Year. Why using props in yoga is NOT failing OR "cheating." "I'm no good at this pose." "I feel like I'm failing".......and other similar phrases. It's not the first time - it won't be the last - but it's happened enough in the last 2 weeks for me to feel it's worth a blog post! And with the newbies starting my beginner programmes this week I'm giving them a copy of this article to take away so they can't say I didn't mention it! Call me old fashioned - in this era of "going for the burn!" or "power" or "hot" yoga; where it seems to be all about pushing the body - but I wholeheartedly believe that is NOT the real spirit of yoga. In fact - I'm not an advocate of ANYTHING to extremes! It's interesting I read an article today by a yoga teacher - talking about detoxing for example. And what about extreme dieting? Yes! I have too! Apart from making me miserable - it didn't work! I don't know anyone it has worked for! And I don't know any good doctor who would advocate it either! There's a lot to be said I reckon from the old saying: "Everything in moderation!" Our bodies are capable of pretty amazing things - and we often punish them enough every day with continually poor posture; poor eating habits and not enough rest. Despite this punishment - our bodies hold up pretty well considering! But there IS a price to pay in the long term for ANY punishing regime. When we're young - we might just be able to get away with it. But often, these things have a habit of catching up with us and biting us on the bum. And I don't know about you - but whilst I can't hold back the clock - I want to grow old and still be as fit and well as I can be. So - coming back to yoga and props and the "f" word! Here's my take on this whole thing. IF USING A PROP MEANS YOU CAN KEEP THE CORRECT ALIGNMENT AND HOLD THE POSE FOR AT LEAST 3 BREATHS THEN USE A PROP! Continually pushing your body into incorrect alignment could potentially cause problems down the line; and the ability to hold a posture for 3 to 5 breaths means your muscles extend gently - no tearing, or forcing, and begin to lengthen and become more flexible at a pace that suits YOUR body. Take Triangle for example - I'd rather see you using a chair and keeping the chest facing out so you really stretch the side of the body - than trying to get your hand on the floor and turning your chest towards the floor! And for students who find some of the floor poses really uncomfortable and challenging, adapting poses using chairs, cushions, bolsters, straps, blocks, blankets, pillows - means they can still stretch within their own limits instead of feeling they cannot take part at all. Our bodies NEED to move! But pushing them beyond their limit will hinder rather than encourage progress. Yoga is designed to work with your body - no matter WHAT level you are at. USING PROPS ALLOWS YOU TO WORK TOWARD MORE CHALLENGING POSES SAFELY AND GENTLY AND THEY'RE ABSOLUTELY ESSENTIAL FOR YIN OR RESTORATIVE POSES. Some poses (pigeon for example) are such that without props the average body would find them impossible! There are LOTS of poses I need props for! Some poses I think I may NEVER be able to do without a prop - and that's OK! Our bodies are all different. And Yin or restorative poses are just AMAZING when you can totally relax and let the prop take the weight! USING PROPS IS NOT "FAILING!" Please, please PLEASE get that "f" word out of your head! If you went jogging regularly, might you invest in the best trainers you could to support your feet and ankles more effectively? Might you wear a special type of supportive bra or bandage the knees? See yoga props as support in the same way. Isn't the whole point of ANY exercise to help us stay well? Physically - and emotionally? Punishing our bodies or continually subjecting them to movements which could lead to long term damage is NOT going to help us with EITHER the physical OR emotional well-being in the long term! And as a 60 something - I'm ALL for ensuring the long term is healthy!!!!! it's an intelligent way to approach your time on the mat! So no more talk of failing please!! Neck and shoulder pain part 3: Quick fixes to help you prevent it happening. Now it's time to ensure it doesn't come back! a) Looking at your mobile phone while walking! b) Sitting for long periods, uninterrupted, at your desk with you hands in front of you, your shoulders slumped! c) Slouching on the sofa, in your car or anywhere else for that matter! All these bad habits do is create a pattern of poor posture which you are almost unaware of, but which is almost certainly building up the stiffness which will eventually cause you discomfort, pain and lack of mobility. Create more mindful habits NOW! Start introducing shoulder and neck rolls into a daily routine - and take regular physical breaks from sitting at your desk. If you have a sedentary job, sitting at a desk, find a few moments every 90 minutes or so to roll your shoulders up and back; squeezing your shoulder blades together. Visualise the base of your spine and imagine you are separating and creating space between the lower vertebrae, lifting the lower ribs away from the pelvis, and if you can, do a couple of neck rolls. Even this simple routine will release some of the tension you've been creating for the last hour or so! Try to keep your chin slightly tucked and back while you sit. This lengthens the neck, placing the neck bones in the correct position. Neck and shoulder pain can be extremely debilitating - but with these simple tips and just a few mindful yoga postures you don't need to suffer. Neck and shoulder pain is a common complaint amongst my students, who ask which postures are best for relieving the sometimes chronic pain or tension they are feeling in that area of their spine. In this 3 part series of posts I'll look at what causes neck and shoulder pain - some simple exercises to focus on to help reduce existing problems and finally some simple things you can do to help ensure you prevent it from coming back! So - first: What causes neck and shoulder pain? Unless it's the result of an accident or underlying medical condition, aches and pains around the neck and shoulders are most often the result of persistent poor posture. In today's world of sitting at desks, working on computers or with our heads permanently bowed looking at our mobile devices, or slumped on the sofa watching TV, is it any wonder our necks and shoulders begin to feel the pressure? When you sit slumped, hands out in front to type or hold a device, your neck is often jutting forward so your neck and shoulder muscles have to work harder to keep your head erect. Do this for hours on end without really moving, and it's no wonder your upper spine is screaming by the end of the day! Take a look at the diagram below. Recognise yourself? When you slump, your shoulder blades widen, moving away from the spine which over time, chronically weakens and overstretches your muscles. If you keep repeating this poor posture (and many of us do it daily! ), then those muscles toughen, and become more fibrous to try and protect you from this repeated strain you're placing on your upper spine. Sometimes they go into spasm, leaving you with screaming pains around your shoulder blades and your neck. Starting today, get a small notebook and just note down/keep a log of how many minutes you sit or stand in that slumped position. Simply beginning to become more aware of what you're doing will make you automatically take some preventive/corrective measures and that's OK! But just become more aware of where the danger areas are for you. And watch out for part 2 of this series of posts, for some simple yoga postures to help you relieve and prevent neck and shoulder pain in the future. Back pain is a pain! In more ways than one! Many of my students have back problems. Almost everyone suffers from back pain at one time or another but as we get older, back pain, particularly lower back pain, and related conditions such as sciatica, can cause us real problems in terms of mobility. It’s not just the lack of mobility - it’s the sometimes excruciating pain and frustration we feel when we can’t do simple things like put on our shoes or get in and out of the car! That's when you really start to feel old! Most of us know gentle exercise is better than rest, which physicians now know simply causes us to seize up even further. So your GP is likely to prescribe gentle exercise and pain killers, so you can allow the body to move without wincing too much. Your doctor may also suggest a couple of sessions with a physiotherapist to help get you started and learn which movements are helpful and which to avoid. All of this is great advice. However, easing the pain so you can move more easily isn’t just what this is all about. Strengthening the core muscles which support the spine is important if you want to help protect your spine from further injury or other problems in the future. Yoga helps improve the underlying causes of the back pain. Unless your condition is the result of a fall or other trauma, it is highly likely that poor posture, muscle tightness and/or muscle weakness will have made you more susceptible to back problems. There are some simple yoga exercises, which, if you did them even for just a few minutes a day, would build strength and more flexibility in your lower back area, so you would be less susceptible in future. Moving the spine gently through systematic stretching, bending and twisting, helps compress the spine disks, bringing them the fresh oxygen and other nutrients they need to remain healthy and pain free. We’ve already said poor posture can be an underlying cause of back problems. From watching TV slumped on the sofa to how we wash the dishes - this repeated poor alignment of the spine eventually weakens and puts pressure on the lower back area in particular, making us more likely to develop problems later on. Yoga encourages you to do the exercises mindfully, and become more aware of your posture so you find you start to change those bad habits and spend more time holding your spine in a way which will help strengthen and support you, rather than weaken you. All for as little as 20 minutes a day. (YOGA WORKSHOP FOR INTERNATIONAL YOGA DAY; Staying young through yoga. Why my birthday next week reminds me why I do yoga - and why I'm not considering botox any time soon! OMG!!! I'm 63 ne xt week! There. I've said it! Out loud - and to whoever reads this! And now, next week, I'm only 7 years to 70! I know I can't do anything about my birthday next week! Whether I celebrate it or not (and I AM going to celebrate! ), it will happen anyhow. I WILL be 7 years from 70 in exactly one week - whether I like it or not! Yoga encourages me to care for my body - and eat healthily. Why? Well I think it's down to the effect yoga practice has on my feelings about my body - and my desire to care for it. I found myself wanting to eat more healthily - taking more interest in how to eat a balanced and interesting diet. I stopped weighing myself - and focused on looking for foods which would keep my energy high, and leave me feeling good rather than bloated or sluggish. This unexpected spin off is yet another bonus which comes with regular practice! I'm not obsessive about my diet - but I enjoy my food and how it makes me feel. It's no different for me. With a Mum with late stage dementia, divorce after 30 years, and juggling a business, I've had my fair share - although a lot less than some. There are times when it all feels too much. I may be 7 years off 70 next week - but I think I'll continue to pass on the botox and stick with the yoga! Have arthritis? Why keeping still is NOT the answer and why yoga is so beneficial. One of the most common things I notice in my yoga students who are experiencing pain when they move, is that there is a tendency to keep still, and move less, in order to avoid the pain. There is also a natural fear that a particular move is going to make them wince, so they sometimes avoid movement altogether and resort to taking painkillers such as paracetamol. A recent study, carried out by researchers from the University of Sydney, looked at the benefit of taking painkillers such as paracetamol for people with arthritis, and concluded paracetamol may not be effective for some people with lower back pain and of limited help to people with osteoarthritis of the hip and knee. As with all research - there are caveats and exceptions. If you currently take paracetamol and find it helps reduce the pain then clearly continuing to take it would seem a wise thing to do. But the one thing which DOES have universal backing from ALL quarters of the medical profession for helping improve the quality of life for anyone with arthritis - is exercise. Yoga's gentle movement helps to reduce pain with less risk of causing further damage. When we don't move, we literally, seize up! Instead of making the stiffness and pain better - we make it worse. Yoga movements teach you to really ease into the postures, and if you attend a suitable class, you can learn how to use props such as cushions, straps and blocks to help you ensure you don't overdo the stretch, but you do move the affected areas. You don't need fancy equipment - just a few cushions, a blanket and a chair or table can make really great props which help you move safely and allow you to relax in the stretch. With my own students, I emphasise the benefits of doing this daily if possible. Ten minutes, gently easing out your muscles and joints in a morning in particular, will significantly increase the benefits you feel - and may even reduce your dependency on painkillers. Yoga can help you become aware of bad habits in your movement or posture which make your condition worse. One of the things I love about yoga the most is how it teaches us to be more aware of our bodies. Instead of watching TV or listening to our i-pods while we mindlessly pump away at exercise, yoga brings our attention to our body as it moves, so we can tell the vital difference between a stretch which feels like a stretch but feels good and a move which hurts! Quick movement doesn't help us notice when we go too far. By then - it's too late - the damage is done. Yoga's deliberate, and mindful movements ensure you stretch, but in a way which supports your body and respects where it's at. Within a few weeks of practising yoga you will find yourself noticing when you've been hunching your shoulders, or standing with your spine out of neutral alignment - and you'll automatically find those bad habits becoming less frequent, and being replaced by more graceful and thoughtful posture. Yoga reduces the stress which often accompanies being in constant pain. I call this the hidden gem of yoga. Pain causes stress and anxiety. Stress and anxiety causes us to tense our muscles - which simply exacerbates the pain! Learning how to breathe in a way which is aligned to the slow movements of yoga aids in a feeling of deep relaxation in the stretches, and restorative poses such as those in Yin yoga - where the body deeply relaxes into a stretch for a longer period, can prove to be really beneficial in helping students reduce the anxiety and tension they feel. Again - I want to stress, even 10 minutes, practised regularly, can make a real difference. There is NO doubt that living with pain and an inability to move can prove to be one of the most depressing and debilitating experiences for any of us. Making a 10 minute yoga practise a part of your daily routine could have a massive positive impact on the quality of your life. Make that commitment to yourself today! How yoga can help you build "helpful" habits. We all have them - and we tend to see them as either "good" or "bad". Some of them have become so ingrained we hardly notice we're doing them - psychologists call this working on "autopilot." Actually, "autopilot" can be really useful for us. It means we can drive the car and chat to someone in the passenger seat. I can't go to bed, no matter how late, tired or how much alcohol I've drunk, without brushing my teeth! That's not discipline - it's habit. Because habits are simply behaviours you've repeated so many times, it's become part of your "routine." As a coach and psychology student as well as a yoga teacher, I prefer not to use words like "good" or bad". Judgemental language may make things worse if we're trying to build habits which serve us well. If we say we have a "bad" habit, it often makes us feel bad - and that has a nasty "habit" of leading us to beating ourselves up for "failing" to control ourselves. Vicious circle! I prefer to look at habits as either "helpful" or "unhelpful". Less emotive. Less judgemental. The truth is, habitual patterns of behaviour eventually become "automatic". The more you do something, the more it's likely to become "hard-wired" in your brain to do it "without really thinking." So you reach for that cigarette or chocolate bar when you're stressed. Autopilot. The first thing you do at your desk when you start work is check your e-mails. (Despite the fact you know you tend to get sucked into them and an hour later that thing you really needed to do is still not done!) Autopilot. Unhelpful patterns of behaviour which have become habitual for you. Various psychology studies seem to suggest it takes anything between 21 to 40 days to build a new habit. Whatever the research says, if you think about your unhelpful habits, you've probably been behaving like that for a loooong time! So, it would seem to make sense that whatever new habit you replace it with, is going to take time to build too. Some studies also suggest that, when we increase our discipline in one part of our lives - it tends to "spill over" into other parts o f our lives. Which is why, for me, taking more care of my diet seems to have been a happy bonus of practising yoga. the helpful stuff spreads! Here's the good news! Repeat those helpful behaviours as much as you can - and you'll end up with a habit you DON'T want to break! In the beginning that takes discipline. But eventually, the new pattern ceases to become discipline - it's autopilot! My students sometimes say to me I must be disciplined to practise yoga so regularly - but actually - I'm not. Not any more. It's just I've done it for so long now - and it makes me feel SO good, it just part of my routine. It's great you come to yoga class - and that time in shared learning and focus is a great experience. But ten minutes a day will help you build that yoga habit far more effectively than an hour a week. So what are you waiting for? Go build a relationship and habit with your mat! You've nothing to lose - and MASSES to gain! 3 good reasons why breathing is so important as you practise yoga. One of my teachers recently put it like this: Linking yoga to our breathing is what makes yoga yoga. It's so true. In yoga, breathing is as important as the poses themselves. In most other forms of exercise we rarely consciously think of or try to control our breathing, but here's 10 good reasons why focusing on your breahting can make you feel so much better. Focusing on your breath helps you reduce stress or anxiety. Unconscious breathing is controlled by the primitive area of our brain, which controls our emotions. Conscious breathing is controlled by the more evolved part of the brain, or the pre-frontal cortex. Why does this matter? By consciously breathing, the cortex takes control of the emotions, reducing feelings of stress, anxiety or other negative emotions. You've probably heard how when you're angry or stressed it's good to breathe more deeply - well that's why. You're using your breathing to affect your mood. In yoga - linking the breath with calm, controlled movements makes this calming influence even more pronounced. Focusing on your breathing helps you become more "present." 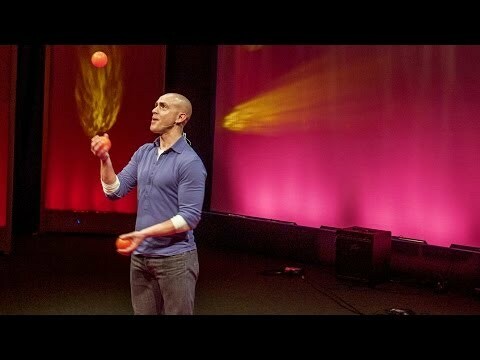 Andy Puddicombe (creator of "Headspace") asks - "When was the last time you took just 10 minutes to "do nothing?" To just become "present" in the moment? He says - and I agree: "The sad fact is that we are so distracted, (with the minutiae of our lives) that we become no longer present in the world in which we live." Our mind is constantly racing from one thing to another, and together with all the accompanying emotions all this does is serve to make us feel tired, drained or constantly hyped up. Taking even a few minutes to lose those distracting thoughts and just "be" - can be a wonderfully refreshing feeling. If you've ever been on holiday, or on a walk or just sitting in your garden enjoying the moment, you'll know how good that feeling is. By focusing on your breathing you bring your attention away from what else is going on in your life right now, and turn it inward - to your body. You become more present to how you feel. You tune in to your emotions more, and even just a few minutes of being present can help you unwind, de-stress and even start to make more intelligent, helpful decisions about how you live your life. How we breathe directly affects our health. Oxygen is the most vital component for our survival and breathing is one of the ways in which our bodies get rid of waste products and toxins from our body. The problem is, most of us rarely breathe as we were meant to - using all of our lungs. We slouch at our desks, or in our cars or on our sofas. We spend a lot of time in environments where the air is less than optimal for health. We have stressful lives, and this anxiety makes us breathe more shallowly. Pranayama is about developing more control of our breathing so we bring more oxygen to the blood and to the brain and to control what yogis call "prana" or life force/energy. There is growing evidence to support that breathing more consciously can help prevent major illnesses and cure minor ailments. So the next time you practise - remember to focus on your breathing! It'll do you the power of good! Musings of a yoga teacher: Can yoga help after a fall? Almost 3 weeks ago I took a tumble - a pretty undignified one at that! Feet slid from under me on a wet floor and I landed smack on my bum with a whack which almost brought tears to my eyes. First couple of days afterwards I actually thought I'd gotten away pretty lightly - and then the pain hit. Sometimes it was bearable - and I thought it was getting better but then two weeks in and I woke up to find I could hardly walk. Simply putting pressure on my feet sent sharp pains around my buttocks. Some yoga teacher eh?! When I can hardly walk! But I know enough to know that whilst you may have to reduce the intensity of movement you make when injured, to stop moving is only going to make things worse. You'll stiffen up even more - and the muscles will lose their strength and elasticity. So - my yoga routine had to change - and on my GP's advice I took stronger pain killers which would allow me to gently move the affected areas. My vigorous salute to the sun and morning routine has been replaced with more restorative and gentle stretches and which actually feel really good; easing the stiffness and relaxing the tension in the muscles which so often accompanies pain. My pain is lessening, my flexibility is gradually returning - and more importantly, I'm feeling much less stressed and tense. That gentle, but consistent practice is helping me return to normal so much faster. Gentle movement after an injury can help you recover more quickly. Yoga is perfect for encouraging gentle, controlled movements - which will rebuild your muscle strength, ease aching joints and reduce the tension which so often accompanies pain. Be even more mindful of how you feel as you do the poses: really tune in to how your body feels, and adjust the depth of stretch, use props and avoid more vigorous poses until you feel your body is ready. A few minutes a day is FAR better than once or twice a week. It takes time to build a habit (research varies from 21 to 40 days) - but if the prize is getting your mojo back - is it not worth it? It's been a really useful reminder to me that losing your mobility is one of the most frustrating and debilitating experiences we can have. Added to that, living with pain can be draining. Whether the pain and lack of mobility is a result of an injury, like mine, or another condition, learning how to take control and improve how you feel can only be a good thing. Whether yours is an acute condition or something more chronic - building even 10 minutes a day of gentle yoga stretches into your day can make a significant difference to how you feel. So - what are you waiting for?! When will you do your 10 minutes? 8 seated poses you can do from a chair. Thanks to a good friend and fellow yoga teacher who saw this article and sent through to me! Whilst we're not running specific therapeutic yoga classes just yet (watch out for news later in the year on this one!) anyone who has more severe mobility problems can still do yoga! Theme song for Yoga over 45 - and for me! 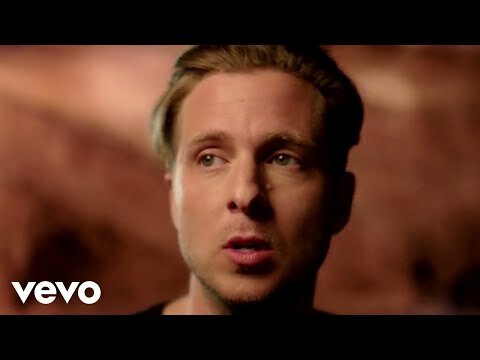 Have you listened to "I lived" by One Republic? If you haven't - take a moment to watch this inspirational video which goes with the song. "Hope when you take that jump - you don't fear the fall"
"Hope that you spend your days - but they all add up"
This will be the theme for Yoga over 45.......and for me! Whatever your new year resolutions - here's to living! 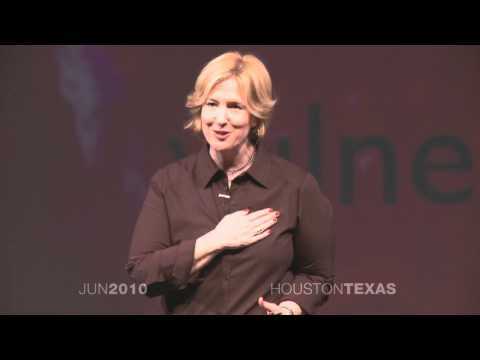 Shown this video on our yoga teacher training - this lady's moving, inspiring and interesting research on what makes us happier. Grab a coffee and enjoy! From the late Jim Rohn. Diary of a yoga teacher. My home for 16 days renewing my skills as a yoga teacher. High up in the mountains of Ibiza, this secluded villa became my home for 16 days. Thirteen individuals, from all over the world, together with two teachers, all committed to understanding how to improve our own ability both as students and future teachers of yoga. A rich and sometimes emotional journey, the experience has reminded me why yoga has been a part of my life for almost 40 years, and why I have an urge to spread the word to others about the benefits it can bring, especially as we age. Did you know you have 3 ages....and two of them you can influence? Your age is your age - right? And you can do nothing about it? I learned some time ago we actually have 3 aqes - and two of them are most definitely under your control. The trouble is, this really doesn't give us an accurate reflection of our age. Do you know people in their eighties who have the energy and fitness of someone 20 years younger? Or perhaps you know people in their forties who look and behave 20 years older - and are plagued with health issues which make them seem older too? Chronological age is not a good indicator for defining who you are. However, the next two indicators are. This is the age of your body's systems, like our lungs, liver and heart. Is it possible for an eighty year old to have better lung capacity than a 40 year old? Yes - particularly if the forty year old smokes. Or what about someone who drinks too much alcohol - do you think their liver might be in worse shape far sooner than someone who drinks in moderation? You have the ability to directly influence your biological age every day. I've met "young" 80 year olds - and "old" 20 year olds in my time. Age is an attitude!Maybe there is some truth in the saying "You're as old as you feel!" How you approach life can make a massive difference to how you are perceived, and how you feel. What could you to control and influence your biological and attitudinal age? Setting new goals at 62! No - I'm going to Ibiza to refresh my yoga teacher training and to begin the process of up-skilling in the more recent field of therapeutic yoga so I can support people with more serious medical conditions such as cancer or arthritis. Now I'm no spring chicken! There's been a lot of water gone under the bridge and a number of major career changes and personal crises which have peppered my 62 years - but I'm still standing! Actually, my fitness level could give my two children a run for their money - not that I'm competitive of course you understand! I believe a large factor in my maintaining good health is down to regular yoga practise for the last 40+ years. I first began teaching yoga in my twenties - and whilst I stopped teaching for the next 3 decades I still practised regularly. I'm a total convert - and I'd like to show others how it can help them continue to live life to the full, regardless of the date on your birth certificate. My belief? Ageing is inevitable - how we handle it isn't! The so called baby boomer generation of which I am one has led the way to changing expectations of what we look like and what we can achieve at 60 and beyond. We still have lots of things we want to do and goals we want to set: places we want to see; grandchildren we want to be fit enough to spend time with; new hobbies or interests we want to pursue and just having a darned good time! Retiring is no longer about slowing down. Hitting mid life is often a watershed too - and an opportunity to set new goals. For many hitting 45 is a time for re-evaluating how we're spending our time; realising there 's more to life than work or becoming aware age is creeping up on us, the big 50 is round the corner, and wanting to ensure we make the most of our lives. That reflection often leads us to make significant changes to how we live, and to setting new goals we want to make sure we achieve. There's nothing more likely to put a hold on our goals than health problems. In our twenties and even thirties we probably didn't think too much about our health - it's easy to feel immortal at that age! But neglect or abuse a car for too long and you're likely to require more than an MOT to run effectively. It's no different with our bodies. I don't want to end up unable to tick those things off my bucket list because my body lets me down. That's why I'm doing this yoga training - first and foremost for me. I already know it works - I want to know more! But most of all I want to be able to share this really useful approach with as many others as I can - so more people benefit - and achieve their goals! Studies show that when we make our goals public we are more likely to be committed to making them happen - so here goes my public statement! To develop and expand my experience and expertise in yoga so I can more usefully help others. To transform the health, well-being and experience of ageing for anyone approaching mid-life or later years, creating ongoing generations of healthier older people. To encourage further and continued research into the benefits of yoga for certain conditions. To build a network of skilled therapeutic yoga teachers both in the UK and abroad. To reach one million people by 2020. To support charities which research specific conditions related to ageing. Any encouragement, advice or support is welcomed! Please join me on my journey.